Across the Europe there are thousands of underground tunnels from the north in Scotland leading all the way down to the Mediterranean. 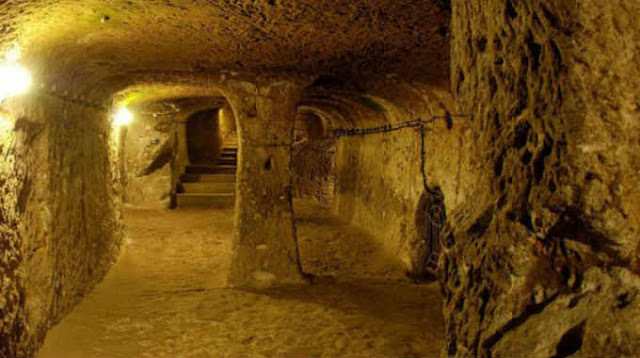 This 12,000-year-old massive underground network is very impressive. Some experts believe the network was a way of protecting man from predators while others suggest the idea that the linked tunnels were used like motorways are today, for people to travel safely regardless of wars or violence or even weather above ground. They could be described as a kind of ancient underground superhighway. 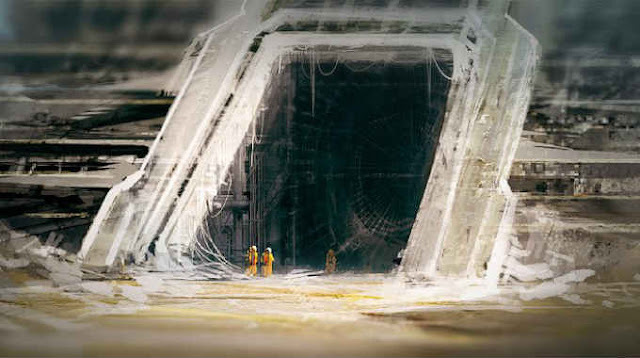 Others think the tunnels can be seen as a gateway to the underworld. German archaeologist Dr Heinrich Kusch said evidence of the tunnels has been found under hundreds of Neolithic settlements all over the continent. 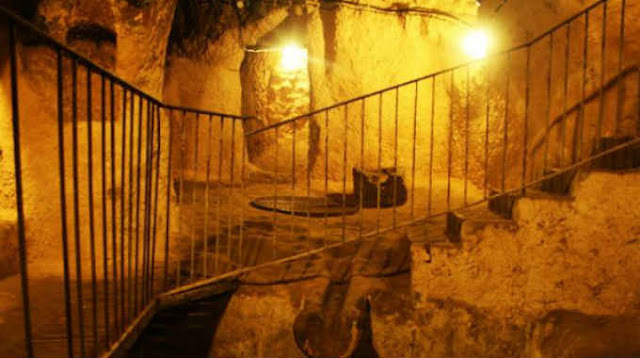 In his book – Secrets Of The Underground Door To An Ancient World (German title: Tore zur Unterwelt) – he says that the fact so many have survived after 12,000 years shows that the original tunnel network must have been enormous. “In Bavaria in Germany alone we have found 700 meters of these underground tunnel networks. In Styria in Austria we have found 350 meters,” he said. “Across Europe there were thousands of them – from the north in Scotland down to the Mediterranean. Most are not much larger than big wormholes – just 70cm wide – just wide enough for a person to wriggle along but nothing else. In his book, he book notes that chapels were often built by the entrances perhaps because the Church were afraid of the heathen legacy the tunnels might have represented, and wanted to negate their influence. 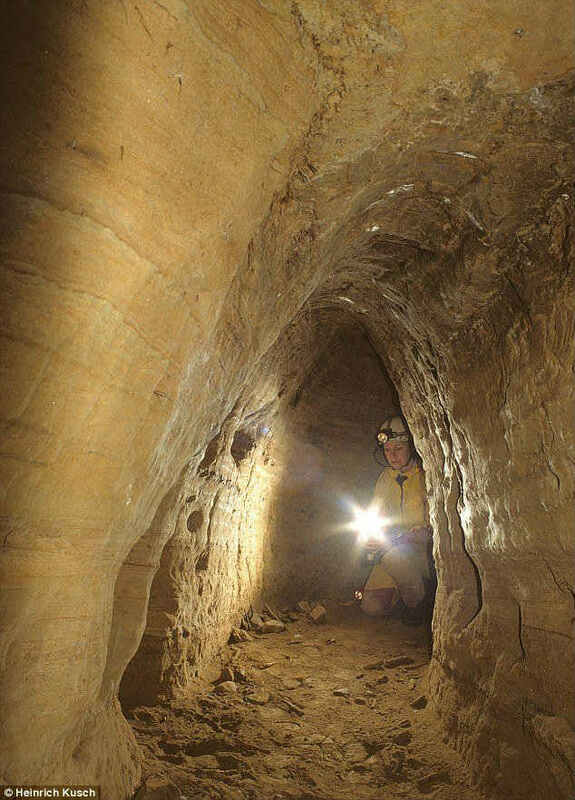 Similar underground tunnels exist on other continents. Throughout all the Americas there are a number of legends of secret of subterranean passages stretching for miles. Why were these ancient tunnels constructed? Was it perhaps our ancestors had to seek protection underground? Many of these ancient legends tell of a great catastrophe that occurred in ancient times. 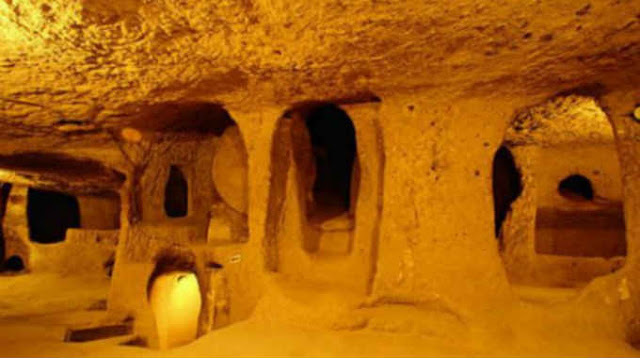 Several myths and legends also relate how the first human beings emerged from underground caves, tunnels and even cities!